"We're not the war on drugs, we're fighting the war on drugs." 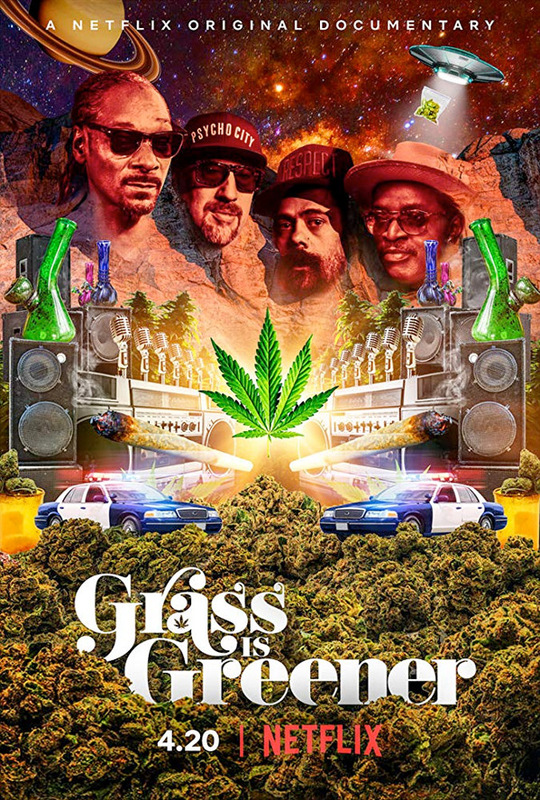 Netflix has debuted the first official trailer for a documentary titled Grass is Greener, a fascinating new doc film examining America's complicated relationship with marijuana. The grass definitely is greener. Directed by iconic hip hop artist / filmmaker known as "Fab 5 Freddy", the very timely film discusses pot's influence on pop culture / music, as well as the devastating impact its criminalization has had on black and Latino communities. Featuring appearances by Snoop Dogg, Cypress Hill's B-Real, Damian Marley, and plenty of other "celebrities and experts" who enjoy the greatness of cannabis. With legalization quickly taking over America (and the world? ), there's more talk about marijuana - with docs like Breaking Habits and Spike Jonze's The New Normal. Light it up. Weed. Marijuana. Grass. Pot. Whatever you prefer to call it, America's relationship with cannabis is a complicated one. In his feature directorial debut, hip hop pioneer Fab 5 Freddy (Yo! MTV Raps) presents an unparalleled look at the racially biased history of the war on marijuana. Snoop Dogg, Cypress Hill’s B-Real, and Damian Marley join a range of celebrities and experts who discuss the plant’s influence on music and popular culture, and the devastating impact its criminalization has had on black and Latino communities. As more and more states join the push to legalize marijuana, Grass is Greener dives deep into the glaring racial disparities in the growing cannabis market. Grass is Greener is directed by Fab 5 Freddy, also known as Fred Brathwaite, making his feature debut after numerous music videos and other projects previously. Netflix will release Grass is Greener streaming exclusively starting April 20th (4/20).